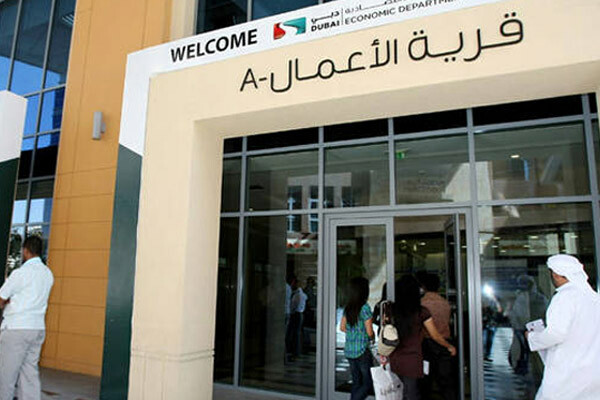 The Department of Economic Development (DED) in Dubai has issued a total of 1,509 new licences in September, thus registering a 23.6 per cent increase over 1,221 licences in August. The ‘Business Map’ digital platform of the DED saw 22,113 business registration and licensing transactions being completed during September, up 25 per cent over August (17,710 transactions), said a statement from the department. This confirms the position of Dubai as a business and investment hub as well as the emirate’s advanced sustainability standards, it stated. The Business Registration and Licensing (BRL) sector in DED issued 1,509 new licences during September 2018, an increase of 23.6 per cent compared to August (1,221 licences), as Dubai remained a destination of choice for investment in diverse business sectors. Among the new licences issued, 64.1 per cent were commercial, 34 per cent professional, 1.1 per cent related to tourism and 0.8 per cent industrial. BRL also issued 94 instant licences, an increase of 56.7 per cent compared to August (60 licences). The Instant Licence is issued in a single step without the need for either the MoA or an existing location for the first year only. The Business Map showed that Licence Renewal accounted for 11,072 transactions during September, an increase of 22.1 per cent compared to August (9,071 transactions); 5,146 transactions were related to Auto Renewal via text messages, an increase of 20.5 per cent compared to August (4,271 transactions). The number of Trade Name Reservation was 2,790, an increase of 32.2 per cent compared to August (2,111), while the number of Initial Approvals reached 1,969, a growth of 33.5 per cent compared to August (1,475). The number of Commercial Permits reached 1,614, a growth of 19.8 per cent compared to August (1,347). The report showed that the top nationalities who secured licences in September 2018 were: India, followed by Pakistan, China, Bangladesh, Saudi Arabia, Jordan, USA, Sudan and the Philippines. The outsourced service centres of DED continued to witness hectic activity in September accounting for 14,694 transactions, a growth of 19.8 per cent compared to August (12,262), demonstrating their vital role in delivering value-added services to the public in Dubai. The report highlighted the distribution of the new licences during September 2018 according to the main areas in Dubai, with Bur Dubai accounting for the largest share (787), followed by Deira (721), and Hatta (1). The top sub-regions that accounted for 53.9 per cent of all the transactions were: Burj Khalifa (12.9 per cent), Al Marar (7.2 per cent), Garhoud (6.7 per cent), Port Saeed (6.4 per cent), Dubai World Trade Centre 1 (4.6 per cent) Naif (3.6 per cent), Al Rigga (2.9 per cent), Hor Al Anz (2.6 per cent), Al Barsha 1 (2.5 per cent), Al Karama (2.4 per cent), and Al Wasl (2.1 per cent). Trade & repair services accounted for 35.9 per cent of the new licences issued in September 2018 according to the distribution of economic activities, followed by Real estate, leasing & business services (29.0 per cent), Building & Construction (18.4 per cent), Community & personal services (12.1 per cent), Hotels group (6.8 per cent), Transport, storage & communications (4.0 per cent), Financial brokerage (3.4 per cent), Manufacturing (1.9 per cent), Education (1.1 per cent), Health & labour (0.7 per cent), Agriculture (0.3 per cent), and Mining & Natural Resources (0.1 per cent).